Pre-construction. To be built. *New Construction with projected completion scheduled for January 2019. Open living area with a spacious great room, eat-in space in the kitchen, and a stylish master suite will make you want to call this beautiful three-bedroom, two-bath your new home! Youll find durable vinyl flooring in the foyer, kitchen, nook, laundry room and baths. Shale-colored birch wood cabinets accent the sleek stainless steel appliances in this roomy kitchen complete with granite countertops and a stainless steel undermount kitchen sink. Youll love retreating to your master suite, complete with full master bath, including dual vanities, a tiled shower and a closeted toilet. A convenient drop zone with USB charging outlets reduces household clutter. All bedrooms boast Mohawk stain-resistant carpet and are pre-wired for cable and ceiling fans. Save on utilities with energy efficient R-30 ceiling insulation, foam injected block insulation, double-pane Low-E windows, and a programmable thermostat. 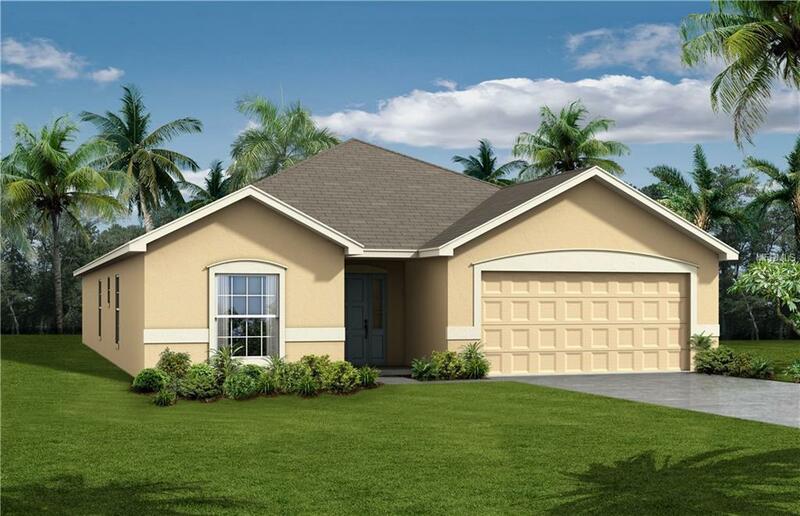 Brand new plus includes a great 2-10 Home Buyers New Home Warranty for piece of mind. A must see to truly appreciate the value of this gorgeous home and community. Come visit this beautiful house and make it your new home today!